At the last day of INSPIRE conference, I’ve attended a session about apps and applications and the final plenary which focused on knowledge based economy and the role of inspire within it. Some notes from the talks including my interpretations and comments. Dabbie Wilson from the Ordnance Survey highlighted the issues that the OS is facing in designing next generation products from an information architect point of view. She noted that the core large scale product, MasterMap has been around for 14 years and been provided in GML all the way through. She noted that now the client base in the UK is used to it and happy with (and when it was introduced, there was a short period of adjustment that I recall, but I assume that by now everything is routine). Lots of small scale products are becoming open and also provided as linked data. The user community is more savvy – they want the Ordnance Survey to push data to them, and access the data through existing or new services and not just given the datasets without further interaction. They want to see ease of access and use across multiple platforms. The OS is considering moving away from provision of data to online services as the main way for people to get access to the data. The OS is investing heavily in Mobile apps for leisure but also helping the commercial sector in developing apps that are based on OS data and tools. For example, OS locate app provide mechanisms to work worldwide so it’s not only UK. They also put effort to create APIs and SDKs – such as OS OnDemands – and also allowing local authorities to update their address data. There is also focus on cloud-based application – such as applications to support government activities during emergencies. The information architecture side moving from product to content. The OS will continue to maintain content that is product agnostic and running the internal systems for a long period of 10 to 20 years so they need to decouple outward facing services from the internal representation. The OS need to be flexible to respond to different needs – e.g. in file formats it will be GML, RDF and ontology but also CSV and GeoJSON. Managing the rules between the various formats is a challenging task. Different representations of the same thing is another challenge – for example 3D representation and 2D representation. Didier Leibovici presented a work that is based on Cobweb project and discussing quality assurance to crowdsourcing data. In crowdsourcing there are issues with quality of both the authoritative and the crowdsourcing data. The COBWEB project is part of a set of 5 citizen observatories, exploring air quality, noise, water quality, water management, flooding and land cover, odour perception and nuisance and they can be seen at http://www.citizen-obs.eu. COBWEB is focusing on the infrastructure and management of the data. The pilot studies in COBWEB look at landuse/land cover, species and habitat observations and flooding. They are mixing sensors in the environment, then they get the data in different formats and the way to managed it is to validate the data, approve its quality and make sure that it’s compliant with needs. The project involve designing an app, then encouraging people to collect the data and there can be lack of connection to other sources of data. The issues that they are highlighting are quality/uncertainty, accuracy, trust and relevance. One of the core questions is ‘is crowd-sourcing data need to different to any other QA/QC?’ (my view: yes, but depending on the trade offs in terms of engagement and process) they see a role of crowdsourcing in NSDI, with real time data capture QA and post dataset collection QA (they do both) and there are also re-using and conflating data sources. QA is aimed to know what is collected – there are multiple ways to define the participants which mean different ways of involving people and this have implications to QA. They are suggesting a stakeholder quality model with principles such as vaueness, ambiguity, judgement, reliability, validity, and trust. There is a paper in AGILE 2014 about their framework. The framework suggests that the people who build the application need to develop the QA/QC process and do that with workflow authoring tool, which is supported with ontology and then running it as web processing service. Temporality of data need to be consider in the metadata, and how to update the metadata on data quality. Patrick Bell considered the use of smartphone apps – in a project of the BGS and the EU JRC they review existing applications. The purpose of the survey to explore what national geological organisations can learn from the shared experience with development of smartphone apps – especially in the geological sector. Who is doing the development work and which partnerships are created? What barriers are perceived and what the role of INSPIRE directive within the development of these apps? They also try to understand who are the users? There are 33 geological survey organisations in the EU and they received responses from 16 of them. They found 23 different apps – from BGS – iGeology http://www.bgs.ac.uk/igeology/home.html and provide access to geological amps and give access to subsidence and radon risk with in-app payment. They have soil information in the MySoil app which allow people to get some data for free and there is also ability to add information and do citizen science. iGeology 3D is adding AR to display a view of the geological map locally. aFieldWork is a way to capture information in harsh environment of Greenland. GeoTreat is providing information of sites with special value that is relevant to tourists or geology enthusiasts. BRGM – i-infoTerre provide geological information to a range of users with emphasis on professional one, while i-infoNappe tell you about ground water level. The Italian organisation developed Maps4You with hiking route and combining geology with this information in Emilia-Romagna region. The Czech Geologcial survey provide data in ArcGIS online. The apps deal with a wide range of topics, among them geohazards, coastline, fossils, shipwrecks … The apps mostly provide map data and 3D, data collection and tourism. Many organisation that are not developing anything stated no interest or a priority to do so, and also lack of skills. They see Android as the most important – all apps are free but then do in app purchase. The apps are updated on a yearly basis. about 50% develop the app in house and mostly work in partnerships in developing apps. Some focus on webapps that work on mobile platform, to cross platform frameworks but they are not as good as native apps, though the later are more difficult to develop and maintain. Many people use ESRI SDK and they use open licenses. Mostly there is lack of promotion of reusing the tools – most people serve data. Barriers – supporting multiple platform, software development skills, lack of reusable software and limited support to reuse across communities – heavy focus on data delivery, OGC and REST services are used to deliver data to an app. Most suggesting no direct link to INSPIRE by respondents but principles of INSPIRE are at the basis of these applications. Timo Aarmio – presented the OSKARI platform to release open data to end users (http://www.oskari.org/). They offer role-based security layers with authenticates users and four levels of permissions – viewing, viewing on embedded maps, publishing and downloading. The development of Oskari started in 2011 and is used by 16 member organisations and the core team is running from National Land Survey of Finland. It is used in Arctic SDI, ELF and Finish Geoportal – and lots of embedded maps. The end-users features allow search of metadata, searching map layers by data providers or INSPIRE themes. they have drag and drop layers and customisation of features in WFS. Sharing is also possible with uploading shapefiles by users. They also have printing functionality which allow PNG or PDF and provide also embedded maps so you can create a map and then embed it in your web page. The data sources that they support are OGC web services – WMS, WMTS, WFS, CSW and also ArcGIS REST, data import for Shapefiles and KML, and JSON for thematic maps . 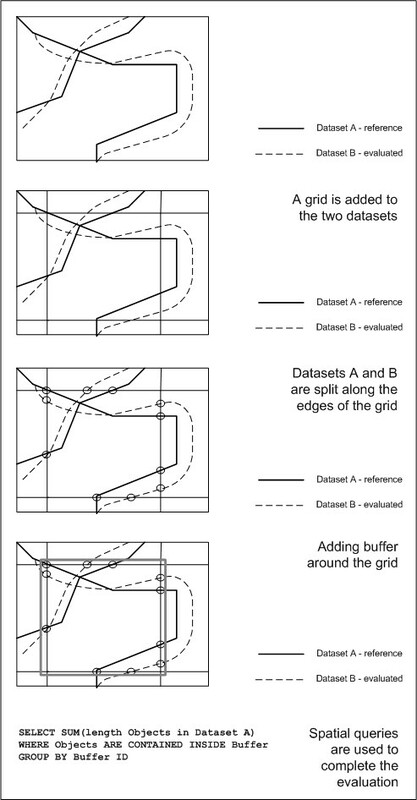 Spatial analysis is provided with OGC Web Processing Service – providing basic analysis of 6 methods – buffer, aggregate, union, intersect, union of analysed layres and area and sector. They are planning to add thematic maps, more advanced spatial analysis methods, and improve mobile device support. 20-30 people work on Oskari with 6 people at the core of it. The final session focused on knowledge based economy and the link to INSPIRE. Andrew Trigg provide the perspective of HMLR on fueling the knowledge based economy with open data. The Land registry dealing with 24 million titles with 5 million property transaction a year. They provided open access to individual titles since 1990 and INSPIRE and the open data agenda are important to the transition that they went through in the last 10 years. Their mission is now include an explicit reference to the management and reuse of land and property data and this is important in terms of how the organisation defines itself. From the UK context there is shift to open data through initiatives such as INSPIRE, Open Government Partnership, the G8 Open Data Charter (open by default) and national implementation plans. For HMLR, there is the need to be INSPIRE Compliance, but in addition, they have to deal with public data group, the outcomes of the Shakespeare review and commitment to a national information infrastructure. As a result, HMLR now list 150 datasets but some are not open due to need to protect against fraud and other factors. INSPIRE was the first catalyst to indicate that HMLR need to change practices and allowed the people in the organisation to drive changes in the organisation, secure resources and invest in infrastructure for it. It was also important to highlight to the board of the organisation that data will become important. Also a driver to improving quality before releasing data. The parcel data is available for use without registration. They have 30,000 downloads of the index polygon of people that can potentially use it. They aim to release everything that they can by 2018. The challenges that HMLR experienced include data identification, infrastructure, governance, data formats and others. But the most important to knowledge based economy are awareness, customer insight, benefit measurement and sustainable finance. HMLR invested effort in promoting the reuse of their data however, because there is no registration, their is not customer insight but no relationships are being developed with end users – voluntary registration process might be an opportunity to develop such relations. Evidence is growing that few people are using the data because they have low confidence in commitment of providing the data and guarantee stability in format and build applications on top of it, and that will require building trust. knowing who got the data is critical here, too. Finally, sustainable finance is a major thing – HMLR is not allowed to cross finance from other areas of activities so they have to charge for some of their data. Henning Sten Hansen from Aalborg University talked about the role of education. The talk was somewhat critical of the corporatisation of higher education, but also accepting some of it’s aspects, so what follows might be misrepresenting his views though I think he tried to mostly raise questions. Henning started by noting that knowledge workers are defined by OECD as people who work autonomously and reflectively, use tools effectively and interactively, and work in heterogeneous groups well (so capable of communicating and sharing knowledge). The Danish government current paradigm is to move from ‘welfare society’ to the ‘competitive society’ so economic aspects of education are seen as important, as well as contribution to enterprise sector with expectations that students will learn to be creative and entrepreneurial. The government require more efficiency and performance from higher education and as a result reduce the autonomy of individual academics. There is also expectation of certain impacts from academic research and emphasis on STEM for economic growth, governance support from social science and the humanities need to contribute to creativity and social relationships. The comercialisation is highlighted and pushing patenting, research parks and commercial spin-offs. There is also a lot of corporate style behaviour in the university sector – sometime managed as firms and thought as consumer product. He see a problem that today that is strange focus and opinion that you can measure everything with numbers only. Also the ‘Google dream’ dream is invoked – assuming that anyone from any country can create global companies. However, researchers that need time to develop their ideas more deeply – such as Niels Bohr who didn’t published and secure funding – wouldn’t survive in the current system. But is there a link between education and success? LEGO founder didn’t have any formal education [though with this example as with Bill Gates and Steve Jobs, strangely their business is employing lots of PhDs – so a confusion between a person that start a business and the realisation of it]. He then moved from this general context to INSPIRE, Geoinformation plays a strong role in e-Governance and in the private sector with the increase importance in location based services. In this context, projects such as GI-N2K (Geographic Information Need to Know) are important. This is a pan European project to develop the body of knowledge that was formed in the US and adapting it to current need. They already identified major gaps between the supply side (what people are being taught) and the demand side – there are 4 areas that are cover in the supply side but the demand side want wider areas to be covered. They aim to develop a new BoK for Europe and facilitating knowledge exchange between institutions. He concluded that Higher education is prerequisite for the knowledge economy – without doubt but the link to innovation is unclear . Challenges – highly educated people crowd out the job market and they do routine work which are not matching their skills, there are unclear the relationship to entrepreneurship and innovation and the needed knowledge to implement ideas. What is the impact on control universities reducing innovation and education – and how to respond quickly to market demands in skills when there are differences in time scale. Giacomo Martirano provided a perspective of a micro-enterprise (http://www.epsilon-italia.it/IT/) in southern Italy. They are involved in INSPIRE across different projects – GeoSmartCities, Smart-Islands and SmeSpire – so lots of R&D funding from the EU. They are also involved in providing GIS services in their very local environment. From a perspective of SME, he see barriers that are orgnaisational, technical and financial. They have seen many cases of misalignment of technical competencies of different organisations that mean that they can’t participate fully in projects. Also misalignment of technical ability of clients and suppliers, heterogeneity in client organisation culture that add challenges. Financial management of projects and payment to organisations create problems to SME to join in because of sensitivity to cash-flow. They experience cases were awarded contracts won offering a price which is sometime 40% below the reference one. There is a need to invest more and more time with less aware partners and clients. When moving to the next generation of INSPIRE – there is a need to engage with micro-SMEs in the discussion ‘don’t leave us alone’ as the market is unfair. There is also a risk that member states, once the push for implementation reduced and without the EU driver will not continue to invest. His suggestion is to progress and think of INSPIRE as a Serivce – SDI as a Service can allow SMEs to join in. There is a need for cooperation between small and big players in the market. After these presentations, and when Alessandro Annoni (who was charring the panel) completed the first round of questions, I was bothered that in all these talks about knowledge-based economy only the government and the private sector were mentioned as actors, and even when discussing development of new services on top of the open data and services, the expectation is only for the private sector to act in it. I therefore asked about the role of the third-sector and civil-society within INSPIRE and the visions that the different speakers presented. I even provided the example of mySociety – mainly to demonstrate that third-sector organisations have a role to play. To my astonishment, Henning, Giacomo, Andrea and Alessandro answered this question by first not treating much of civil-society as organisations but mostly as individual citizens, so a framing that allow commercial bodies, large and small, to act but citizens do not have a clear role in coming together and acting. Secondly, the four of them seen the role of citizens only as providers of data and information – such as the reporting in FixMyStreet. Moreover, each one repeated that despite the fact that this is low quality data it is useful in some ways. For example, Alessandro highlighted that OSM mapping in Africa is an example for a case where you accept it, because there is nothing else (really?!?) but in other places it should be used only when it is needed because of the quality issue – for example, in emergency situation when it is timely. Apart from yet another repetition of dismissing citizen generated environmental information on the false argument of data quality (see Caren Cooper post on this issue), the views that presented in the talks helped me in crystallising some of the thoughts about the conference. As one would expect, because the participants are civil servants, on stage and in presentations they follow the main line of the decision makers for which they work, and therefore you could hear the official line that is about efficiency, managing to do more with reduced budgets and investment, emphasising economic growth and very narrow definition of the economy that matters. Different views were expressed during breaks. The level in which the citizens are not included in the picture was unsurprising under the mode of thinking that was express in the conference about the aims of information as ‘economic fuel’. While the tokenism of improving transparency, or even empowering citizens appeared on some slides and discussions, citizens are not explicitly included in a meaningful and significant way in the consideration of the services or in the visions of ‘government as platform’. They are reprieved as customers or service users. The lesson that were learned in environmental policy areas in the 1980s and 1990s, which are to provide an explicit role for civil society, NGOs and social-enterprises within the process of governance and decision making are missing. Maybe this is because for a thriving civil society, there is a need for active government investment (community centres need to built, someone need to be employed to run them), so it doesn’t match the goals of those who are using austerity as a political tool. Connected to that is the fact that although, again at the tokenism level, INSPIRE is about environmental applications, the implementation now is all driven by narrow economic argument. As with citizenship issues, environmental aspects are marginalised at best, or ignored. The comment about data quality and some responses to my talk remind me of Ed Parsons commentary from 2008 about the UK GIS community reaction to Web Mapping 2.0/Neogeography/GeoWeb. 6 years on from that , the people that are doing the most important geographic information infrastructure project that is currently going, and it is progressing well by the look of it, seem somewhat resistant to trends that are happening around them. Within the core area that INSPIRE is supposed to handle (environmental applications), citizen science has the longest history and it is already used extensively. VGI is no longer new, and crowdsourcing as a source of actionable information is now with a decade of history and more behind it. Yet, at least in the presentations and the talks, citizens and civil-society organisations have very little role unless they are controlled and marshaled. Despite all this critique, I have to end with a positive note. It has been a while since I’ve been in a GIS conference that include the people that work in government and other large organisations, so I did found the conference very interesting to reconnect and learn about the nature of geographic information management at this scale. It was also good to see how individuals champion use of GeoWeb tools, or the degree in which people are doing user-centred design. Posted on 21 June, 2014 Categories conference, GIS, VGITags citizen science, data quality, government, government data, HMLR, INSPIRE, INSPIRE 2014, knowledge based economy, Ordnance Survey, smartphone apps, Spatial Data Quality, VGILeave a comment on Third day of INSPIRE 2014 – any space for civil society and citizens? 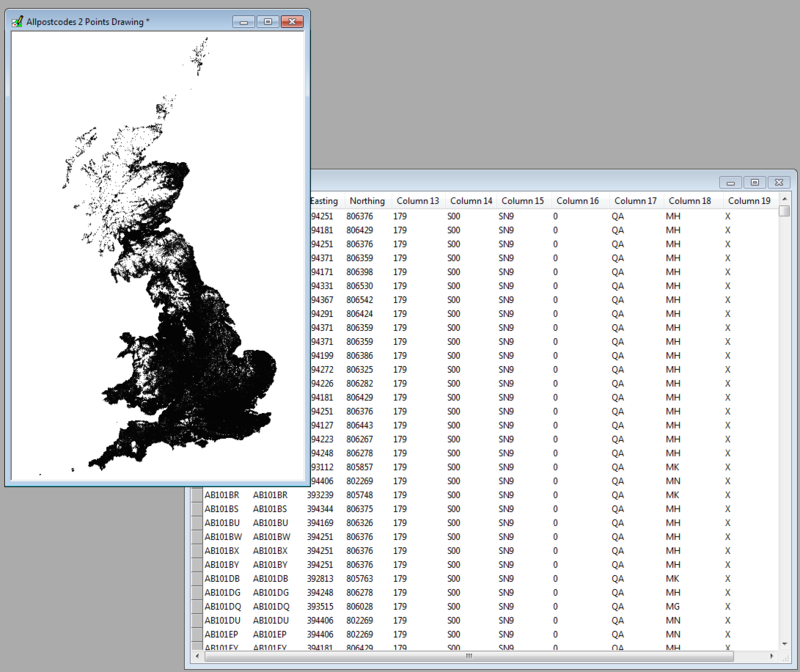 One of the surprises of the Ordnance Survey OpenData release at the beginning of April was the inclusion of the Code-Point Open dataset, which lists the location of all postcodes in England, Wales and Scotland. This was clearly a very important dataset because of the way postcode geography drives many services and activities in the UK. Before the release, the costs of using postcodes in geographical analysis were prohibitive for many small organisations. So how usable is this free Code-Point data? The principle of ‘do not look a gift horse in the mouth’ doesn’t apply here. The whole point of releasing the data is to make it as useful as possible to encourage innovation, so it should be made available in a way that makes it easy to reuse. I evaluated it while analysing a dataset of 11,000 volunteers’ postcodes that I received from a third sector organisation. The next step was the download itself and the opening of the zip file, which was clear and easy. There is an oddity with all Ordnance Survey data that they have a redundant sub-directory in them – so in this case the data resides under \codepo_gb\Code-Point Open\ . The fact that the files is broken up into postcode area instead of one big file of 157MB is fine, but it can be helpful to remind users that they can concatenate files using simple commands – this is especially necessary to less tech-savvy users. So an explanation for Windows users that you can open the Command window using ‘cmd.exe’ and run ‘type a.csv b.csv > common.csv’ can save some people plenty of time. But the real unpleasant surprise was that nowhere in the downloaded package is there a description of the fields in the files! So you open the files and need to figure out what the fields are. The user manual is hides 4 clicks away from the download page and luckily I knew that the ‘user manual’ is stored under ‘technical information’ on the product page, which is not that obvious at first visit. Why not deliver the user manual with the product ?!? The Doc directory is an obvious place to store it. Postcode,Positional Quality,PR Delete,TP Delete,DQ Delete,RP Delete,BP Delete,PD Delete,MP Delete,UM Delete,Easting,Northing,Country,Regional Health Authority,Health Authority,County,District,Ward,LS Delete. Of course, all the fields with ‘Delete’ in the name mean that they should be deleted once imported. Interestingly, once you delete these fields, the total size of Code-Point Open drops from 157MB to 91MB – which means that it can save the Ordnance Survey bandwidth and carbon emissions by making the file smaller. Another interesting point is that the user manual includes detailed instructions on how to change the postcode to a ‘single spaced postcode’. The instructions are for Excel, Mapinfo and ArcGIS. This is the type of information that can help end-users start using the data faster. Finally, you can use this wonderful information to create lovely maps. All these problems are minor, apart from the description of the fields which is a major usability error. 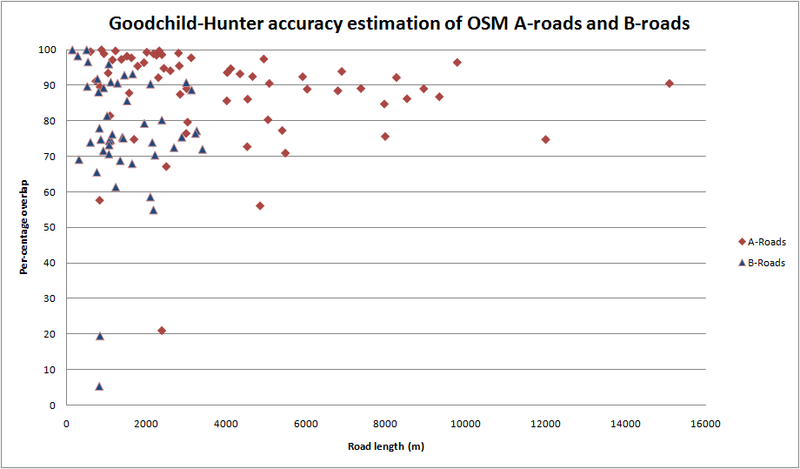 Similar analysis can be carried out for any of the Ordnance Survey datasets, to ensure that they are useful to their users. There are some easy improvements, such as including the user manual with the distribution, and I’m sure that, over time, the team at the Ordnance Survey will find the time to sort these issues.